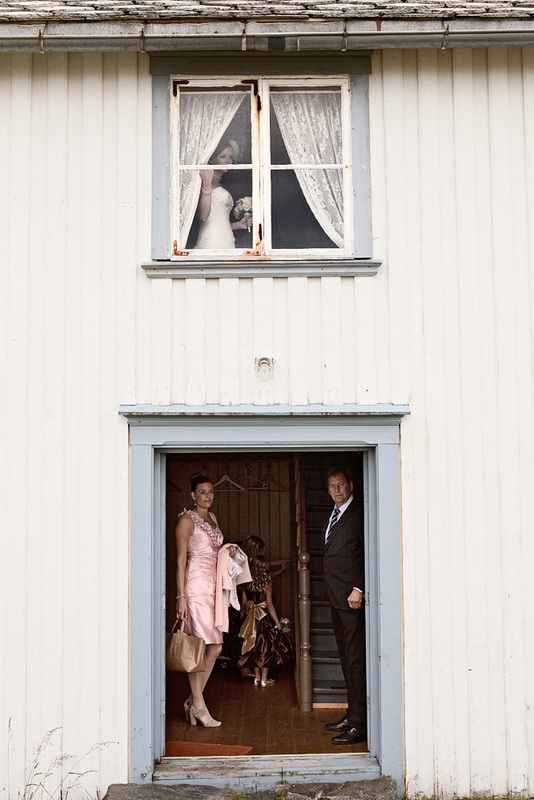 A stolen moment as the bride, her sister and father wait to walk up to the church. 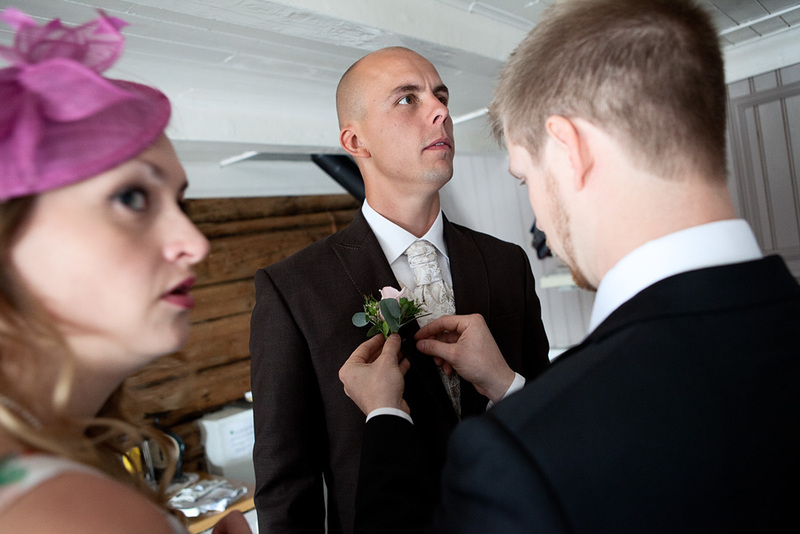 This was my third wedding on a Norwegian island (including my own!). What an amazing day – I don´t think I have ever seen so many tears. 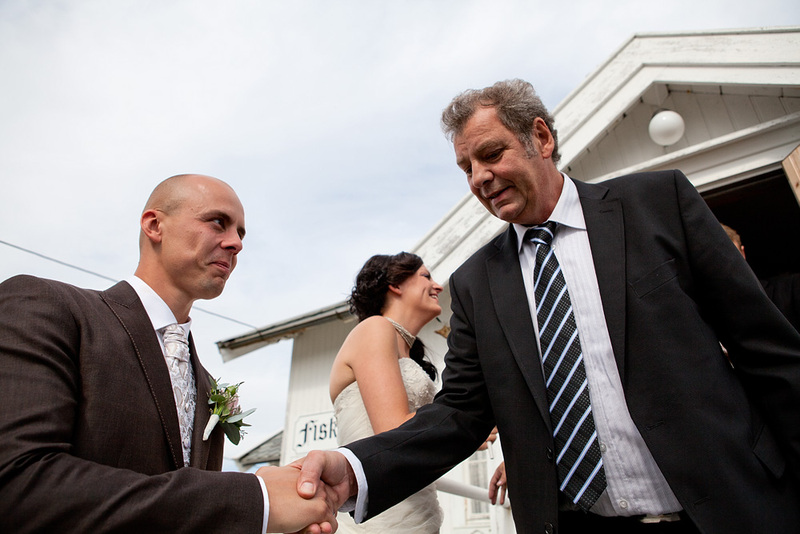 Many sad stories, but also many tears of joy and a great couple, Therese and Rune. The couple looked great and I got some nice snaps, here’s a few from the build up and the ceremony. 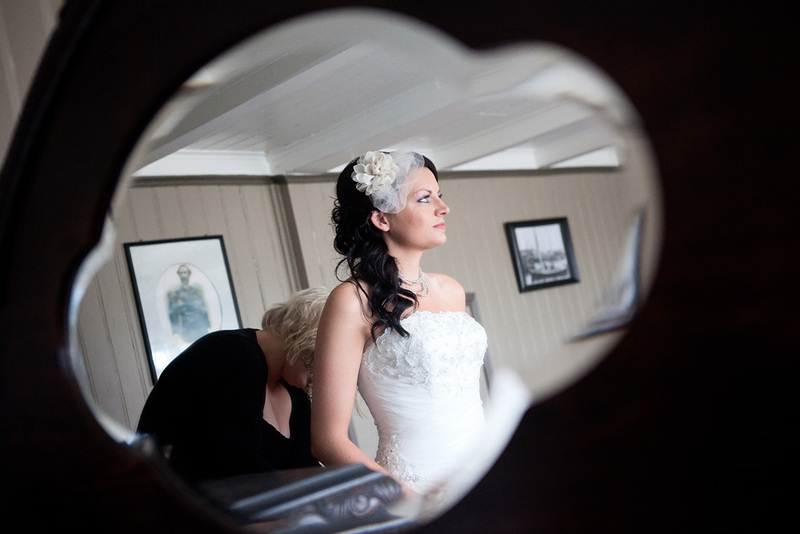 Everything went very smoothly, though the day before the wedding the bride managed to knock out one of the window frames at the party venue. Luckily there we many helping hands and if she hadn’t mentioned it in her speech none of us would have been any the wiser. Courage in a bottle, luckily the priest, Brit-Karin, doesn’t seem to mind. The sun came out to greet the happy couple, followed by loads of cognac and strawberry daiquiris. 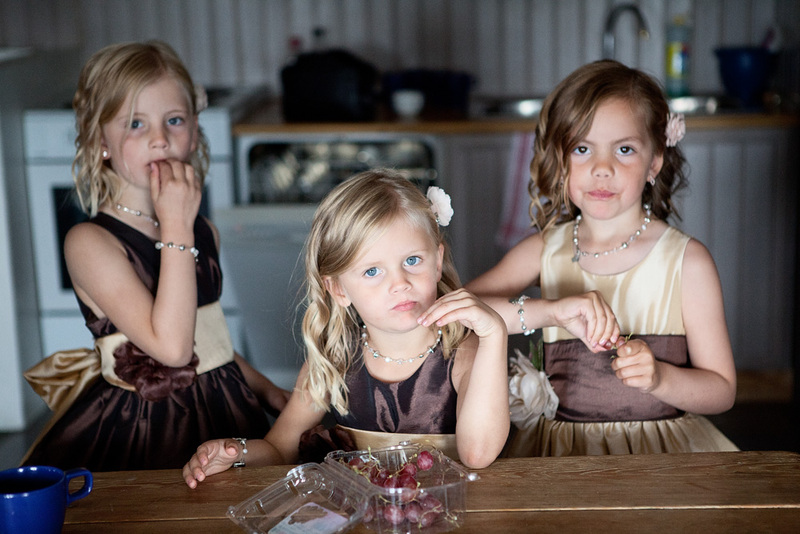 kjempefine bilder, spesielt the “stolen moment” ! Great pics! 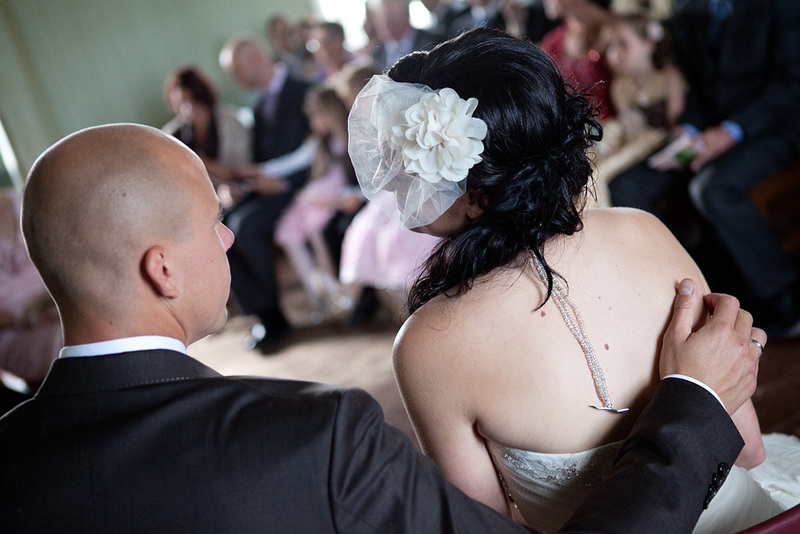 It was such a lovely week-end and a gorgeous wedding!